BriteStar Cleaning, Inc. is your "One-Stop Building Maintenance Company"! We offer a wide range of building maintenance services including janitorial services, complete floor care services, steam carpet cleaning, window cleaning, and janitorial supply sales. Our team members are all screened and proficiently trained to ensure a professional finish. 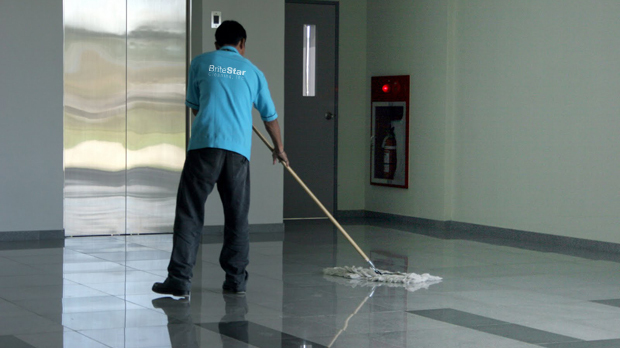 BriteStar Cleaning, Inc. provides a comprehensive and customized building maintenance service for our diverse client base of commercial offices, industrial and manufacturing facilities, retail facilities, schools, child care facilities, and healthcare facilities. Our experience with variety assures that there is no type of facility that BriteStar Cleaning, Inc. cannot successfully satisfy. Every member of the BriteStar Cleaning, Inc. team is committed to customer service. We strive to provide your business with worry-free service you can count on. Each client is more than just another account. We believe that communication between each party is the key to our quality services. We understand that each facility has very different specific needs. With consistent communication, BriteStar Cleaning, Inc. will meet and exceed your expectations. BriteStar Cleaning, Inc. is licensed, bonded and insured. 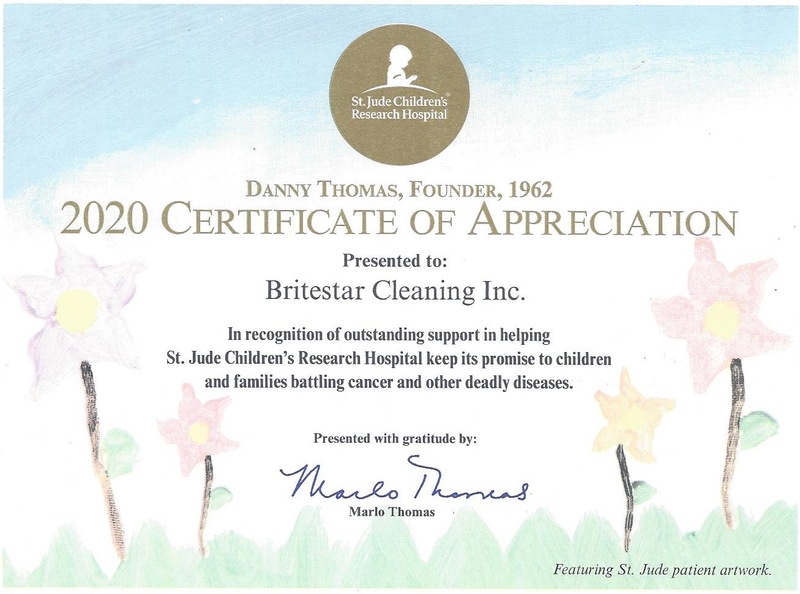 Brite Star Cleaning is proud to introduce a contribution program we have established benefiting the St. Jude Children's Research Hospital. Founded by the late Danny Thomas, St. Jude Children's Research Hospital is non-sectarian. The center was created in honor of Saint Jude Thaddeus- the patron Saint of hopeless causes, as Danny Thomas dreamed "no child should die in the dawn of life". St. Jude Children's Research Hospital is the single largest center in the United States for the treatment and research of pediatric cancer and other childhood diseases. As a client of Brite Star Cleaning, a portion of your monthly service fee will go to St. Jude Children's Research Hospital. Please visit http://www.stjude.org for more information.